Peter: Portrait of A Serial Killer is a feature film that delivers uncompromising performances and rare, shocking archive to reveal for the first time ever the astonishing true story of 'The Yorkshire Ripper'. Exploring his childhood, the sadistic murders of thirteen women and his ongoing psychological treatment, the audience journey into the dark and twisted mind of Britain's most notorious serial killer. Psychiatrists say he is a dangerous paranoid schizophrenic, many think he is simply Evil; this film challenges the audience to make up their own mind. 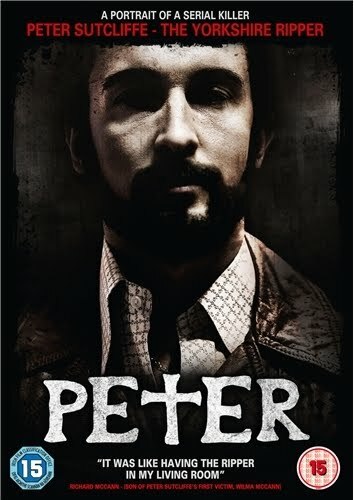 Thanks to our friends at High Fliers, we've got three copies of Peter: Portrait of a Serial Killer on DVD to give away! For your chance of winning, send your name and full postal address to emotionally14@hotmail.co.uk before midday on Monday 7th November, making sure to put "Peter Portrait" as the subject. The first three entries out of the electronic hat after the competition closes will receive a copy of this awesome DVD! Don't forget to put "Peter Portrait" in the subject line. Incorrectly labelled or blank entries will be discarded. Peter: Portrait of a Serial Killer is available now, courtesy of High Fliers.